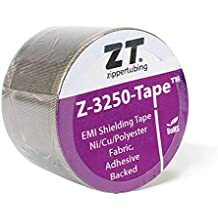 The Zippertubing Company (“Zippertubing,” "we," "us," or "our") is committed to protecting the privacy of your information. The following Privacy Notice (“Notice”) sets forth our policies and practices regarding how we use and share the information we collect through your navigation of our website (the "Site") and our provision of products and services to you. This Notice applies to the Site, which includes www.zippertubing.com and its subdomains, regardless of the medium in which the Site is accessed by a user (e.g., via a web or mobile browser). This Notice does not apply to the websites of Zippertubing’s affiliates. For information about our affiliates’ privacy practices, please visit their respective websites. We process the Personal Data we collect from you when you use the Site. “Personal Data” means any information that directly or indirectly relates to you. Contact Information, including your first and last name, mailing address, email address, telephone number, and the name of your company. Communication Information, such as the contents of the communications you send to us by submitting an online form or calling, emailing, or otherwise contacting us. Other Identifying Information, such as your IP address and device identifiers. To learn about what information your device makes available to us, please check the policies of your device manufacturer or software provider. Cookies, web beacons, and other automated tracking technologies, such as when you navigate the Site or click on links in the emails we send you. A cookie is a small data file that is transferred to a web browser, allowing our Site to remember and customize your subsequent visits. A web beacon (also called a “pixel tag” or “clear GIF”) is a piece of computer code that enables us to monitor user activity and website traffic. To learn more about cookies and web beacons, please visit https://en.wikipedia.org/wiki/HTTP_cookie. We also collect other types of information in aggregate form when you visit our website. This information includes the type of web browser and operating system used and cannot be used to identify you. Providing you with the products and services you have ordered and communicating with you regarding your transaction. This is generally required because we have entered into a contract with you or it is in our legitimate interest to support your customer experience. Please note that we use a third-party payment processor to process your payment card information, and we generally do not retain payment card information. Sending you marketing communications, because it is in our legitimate interest to inform you about our products and services that may be of interest to you. We will only use your information for marketing purposes pursuant to your legal consent. Performing website traffic analysis and usage analytics. We do this because it is in our legitimate interest to understand your preferences with respect to the Site, which will allow us to improve your user experience. Third-party service providers and suppliers who need access to Personal Data to assist us in delivering products and services to you. For example, such third parties include payment processors; information technology service providers; website hosting providers; marketing, accounting, shipping, and delivery vendors; and other business process outsourcing providers. We share only the minimum amount of Personal Data with these service providers that they need to perform their tasks. Third-party service providers who need access to Personal Data to perform website usage analytics and targeted advertising. Our corporate affiliates, when necessary to complete the processing activities described above. 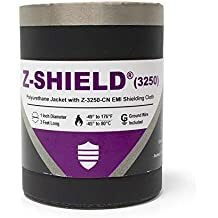 Public and governmental authorities that regulate or have jurisdiction over Zippertubing, such as regulatory authorities, law enforcement, public bodies, and judicial bodies. International Data Transfers. We may transfer your Personal Data to countries outside of the EEA for processing in accordance with this Privacy Notice and as permitted by the applicable laws. Where this is the case, we will ensure that any data processors receiving your Personal Data are subject to laws ensuring an adequate level of data protection as set out in an adequacy decision of the European Commission (including the EU-U.S. Privacy Shield) or will ensure that an adequate level of data protection will be available on the basis of standard contractual clauses that will allow you to directly enforce your rights as a third-party beneficiary. We retain Personal Information for the period of time necessary to fulfill the purposes outlined in this Privacy Notice and Zippertubing’s records retention policies, unless a longer retention period is required or permitted by law. The security of your information is important to us. We have implemented reasonable technical, physical and administrative security measures intended to protect your Personal Data from unauthorized access, disclosure, alteration or destruction. Please keep in mind, however, that no data transmitted over the Internet is 100% secure and any information disclosed online can potentially be collected and used by persons other than the intended recipient. Accordingly, we cannot guarantee or warrant the security of any information you transmit using the Site. If you would like to learn more about how we protect your Personal Data, you may contact us at the information we provide below. To opt-out of receiving marketing communications from us, please click the unsubscribe link at the bottom of a marketing email or let us know by reaching us at the contact information below. Please note that even if we stop all marketing communications, you may still receive administrative, legal, and other important communications from us. We do not market to and do not knowingly collect any Personal Data from or about a child under the age of 16 without the consent of the child’s parent or legal guardian. The Site may contain links to websites not affiliated with us. Your use of an external website or any informational content found on an external website is subject to and governed by the privacy policies, terms, and conditions of that website. We do not endorse or make any representations or warranties concerning, and will not in any way be liable for, any informational content, products, services, software, or other materials available on an external website, even if one or more pages of the external website are framed within a page of our Site. Further, we are not responsible for the privacy practices of any external Site. California residents have a legal right to request businesses to tell them how their Personal Data has been shared, if at all, with third parties for the third parties’ direct marketing purposes. To make such a request, please reach us at the contact information listed below. Certain web browsers and other devices you may use to access the Site may permit you to submit your preference that you do not wish to be “tracked” online. We do not currently commit to responding to these submissions, in part, because no common industry standard for “do not track” has been adopted by industry groups, technology companies, or regulators. We will make efforts to monitor developments around Do Not Track browser technology and the implementation of a standard.